There were many recreational activities at Guernewood Park during the sixties. Besides dancing at the Tavern and watching flicks on the outdoor screen, you also had a peewee golf course and a roller skating rink across the street where the Garden Grill is today. If that wasn’t enough, there was an indoor bowling alley where Ferrellgas stands. Next door on the site where the Chinese restaurant is, you had the horse stables. 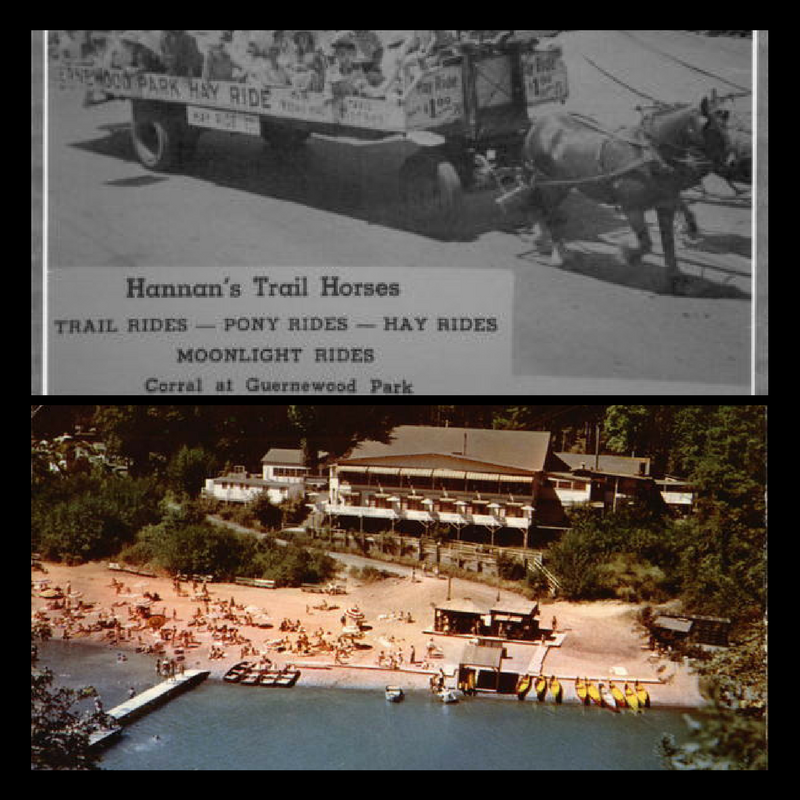 The pony rides did the loop down Old Cazadero Road and back along Lover’s Lane. 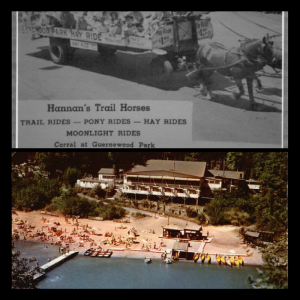 The hayrides (top photo) took you thru Guerneville to Armstrong Woods Park where you would enjoy a BBQ before returning. Rich Caselli remembers as a kid working the stables as well as riding the back of the wagon to insure no one fell off (circa 1949-1954). Misty Moreno became good friends with Tom Stoy whose father brought the horses out to the river each summer. I’m betting she got a free pony ride out of the deal. The Guernewood Park Beach rested behind the Tavern (bottom photo). There was a diving board at the end of a pier as well as concession stands where you could rent anything from a one-piece bathing suit to an umbrella to a sno-cone and canoe. In addition there was a forty-foot high-dive platform, but only the lifeguards were allowed on the top level. Perhaps one of the most fun features was a forty-foot slide that took you for a ride into the shallows. 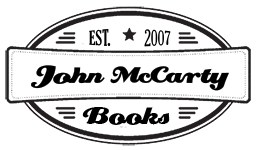 For more on the Russian River, scroll to the bottom of this page and click on your favorite town/neighborhood. Also, several scenes from the historical fiction novel Stumptown Daze took place at Guernewood Park. For more on this book, go to the top and click on “Novels”. Have fun!